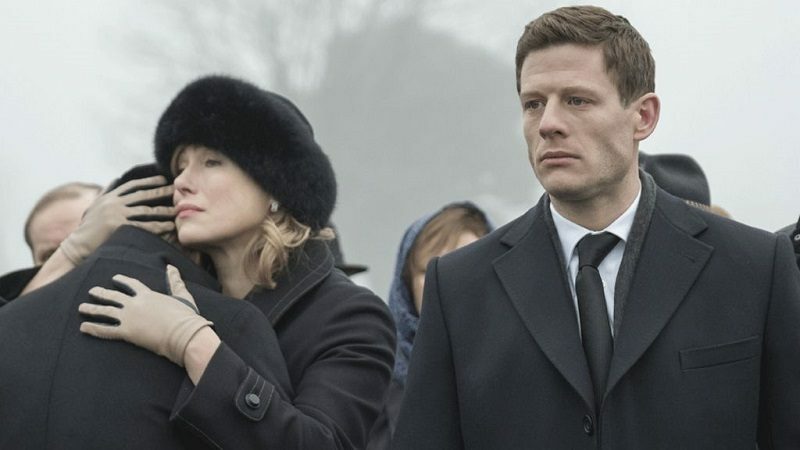 McMafia is the latest high-quality thriller from the BBC that features a lot of talent in front of and behind the camera. Alex Godman (James Norton) is the son of a wealthy exiled Russian family in London. Despite his family's criminal past, Alex works as a legitimate banker. But his world comes crashing down when one of his funds is flagged by the authorities and he is forced into the criminal underworld. McMafia is loosely based on a non-fiction book by Misha Glenny which looked at the interconnected and international nature of modern crime. The miniseries has a fictional narrative placed upon it to show how crime enterprises around the world work. McMafia is the second major mini-series to come from a partnership between the BBC and AMC - their previous series being The Night Manager. 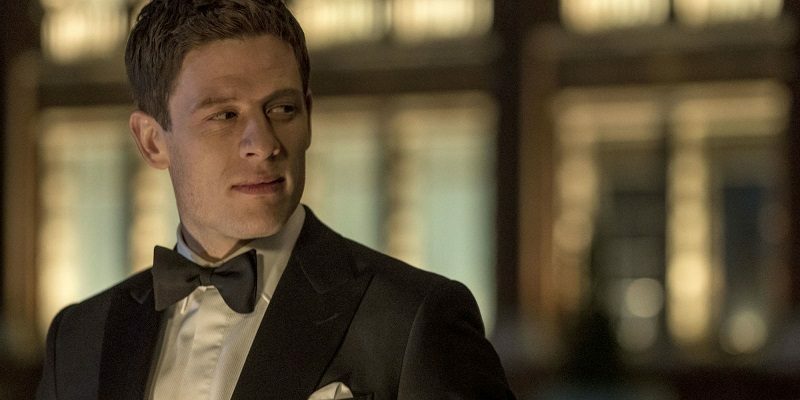 It is clear even in the first episode that McMafia is trying to repeat that show's success. The first episode has a similar narrative of a man who is not involved in the criminal world being forced into it and there is going to be a complex web throughout the series. McMafia also has a top-tier creative team: the series was co-created by Hossein Amini whose credits include Drive, The Two Faces of January, and Our Kind of Traitor, an adaptation of a John le Carre novel that features MI6 and the Russian Mafia. James Watkins was the other co-creator - his previous work being mostly in horror films - and he acted as director and co-writer of the series. Also like The Night Manager, McMafia would properly be seen as an audition tape for the Bond role. There was speculation that Tom Hiddleston was considered to be a favorite to become Bond after The Night Manager and Norton is currently one of the bookies' favorites for the role. Even in the first episode Norton is shown to be handsome, well groomed, and because of his naturally big frame, perfectly capable in a fight. 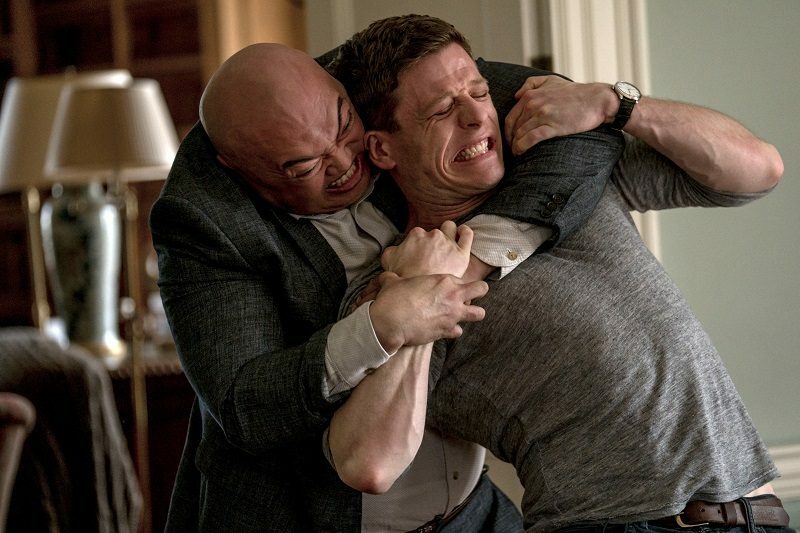 The most thrilling and shocking moment is when Alex faces some Russian Mafia goons for the first time and they show how ruthless and violent they can be. [caption id="attachment_102013" align="aligncenter" width="800"] McMafia - TX: n/a - Episode: McMafia Episode One (No. 1) - Picture Shows: Alex Godman (JAMES NORTON) - (C) Cuba Productions - Photographer: Nick Wall[/caption] The aim of the first episode is to establish the characters and set up the world. Alex is shown to be a man loyal to his family but sees himself more English than Russian: he was educated in England and America - and he hardly speaks Russian, even to his parents. His dad states Alex doesn't believe Princess Diana's death was a conspiracy because he's English - if he was Russian he would believe it in the conspiracy theories. These exchanges also highlight the differences between British and Russian governmental cultures: Britain being fairly clean, the Russian government is extremely controlling and does not accept dissent. Despite his success in The City, Alex's family is a mess: his father Dimitri (Aleksey Serebryakov) is a depressed alcoholic who longs to go back to his homeland, his uncle, Boris (David Dencik) wants to reclaim the family empire, and, although it was only briefly mentioned, his sister Katya (Faye Marsay) has a penchant for smoking marijuana. Alex is forced into this criminal web by his uncle who gets a Russian-Israeli shipping magnate, Semiyon Kleiman (David Strathairn), to invest in the fund. The banking backdrop also allows for grand statements about the nature of Capitalism. The complex nature of international banking allows for less scrupulous people to launder their money - Kleiman talks about how international crime has become franchised and compared the enterprise to McDonalds and Burger King. Alex's girlfriend, Rebecca (Juliet Rylance) makes a speech that capitalism needs to become moral if it's to survive. Even in the first episode the international dimension is shown: the pre-title sequence takes place in Dubai where some spying skulduggery happens and the episode takes place in London, Israel, Russia, and Paris. The money spent on this mini-series is clear on screen from all the location shooting. Even the title sequence shows the international element with planes, spreadsheets, and crimes like human trafficking appearing on screen. Despite there being flashes of action, McMafia is going to be a slow boil and it is going to be needed due to the setting. Amini's previous work has shown he has preferred this approach. There is also going to be a risk that McMafia may not be as compelling as The Night Manager because of the setting in the world of banking instead of espionage. 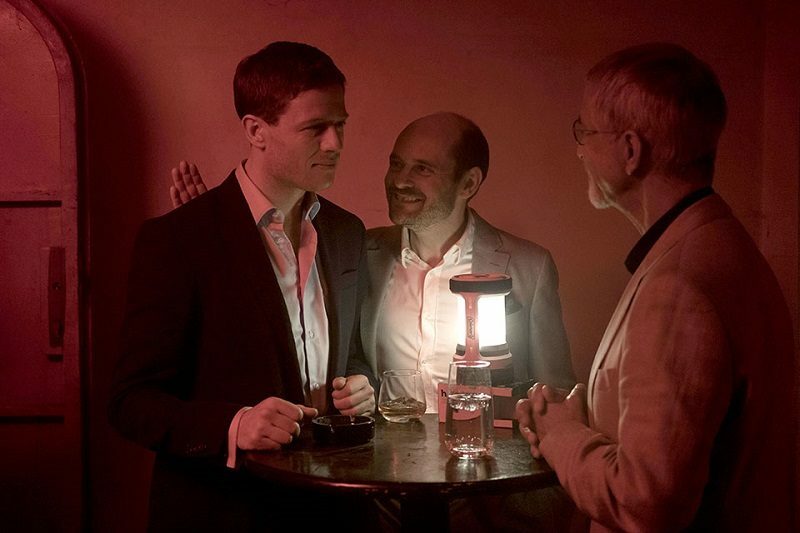 This is going to be a prestige show that wants to win awards and people who like their smart programmes (or at least want to feel smart) should get a kick out of McMafia.